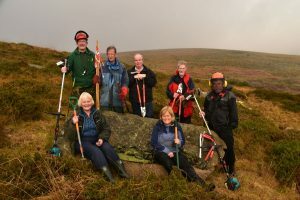 High House Waste is 145 acres of moor, heath, mire and woodland, rich in archaeology, flora and fauna. 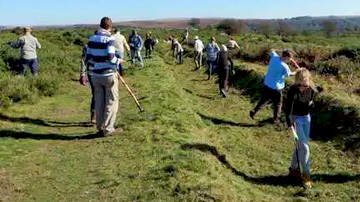 The DPA volunteers carry out regular work here to maximise its conservation potential. The DPA bought the land in 1964 when it was threatened with coniferous afforestation by Economic Foresty Ltd. Time was short and the DPA’s then chairman, Lady (Sylvia) Sayer, put up the necessary £2,000 to buy it. The DPA ran an appeal to recoup the money, and raised more than the required sum, such was the public’s concern for the land. Says Kate Ashbrook, DPA trustee and former president: ‘It is thanks to the foresight of Sylvia Sayer that the DPA bought this magical place and saved it from becoming a dreary blanket of impenetrable conifers. 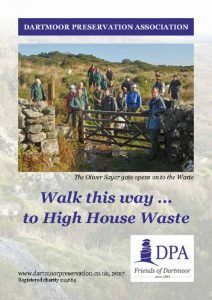 We are also proud that the gates to high House Waste were unique on Dartmoor in welcoming people onto the land. 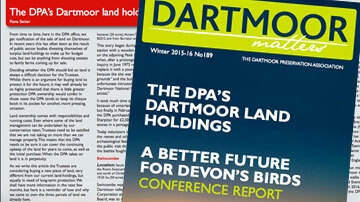 ‘Now people have rights to walk, ride and camp here, just as they have on the adjoining Dartmoor commons. 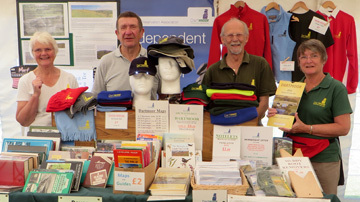 The booklet can be downloaded here or bought from the DPA for £2 including post and packing (Old Duchy Hotel, Princetown, Yelverton PL20 6QF, tel 01822 890646). 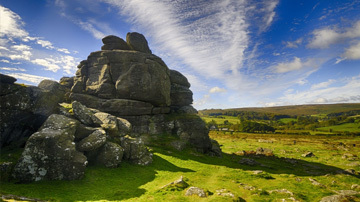 Please make cheques payable to Dartmoor Preservation Association.